Fluorolite F81 is a high-transmission acrylic panel used to diffuse lamp images and provide more uniform surface brightness. Designed to filter out the most damaging wavelengths of ultraviolet irradiation, this panel provides total lamp obscuration. It also reduces veiling reflections and reflected glare. Available in Clear and White. It provides optimum light transmission while eliminating undesired hotspots and luminance fluctuations. 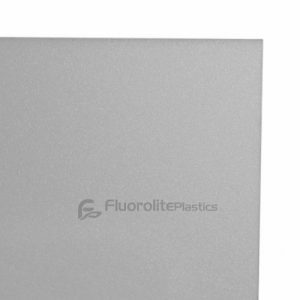 Fluorolite’s F81 is ideal for use as an overlay to diffuse lamp images and provide uniform surface brightness. F81 is impact resistant, high transmission, flexible for contour inserts on perforated metal baskets.